Change your time zone by heading to Settings > Edit Your Profile. 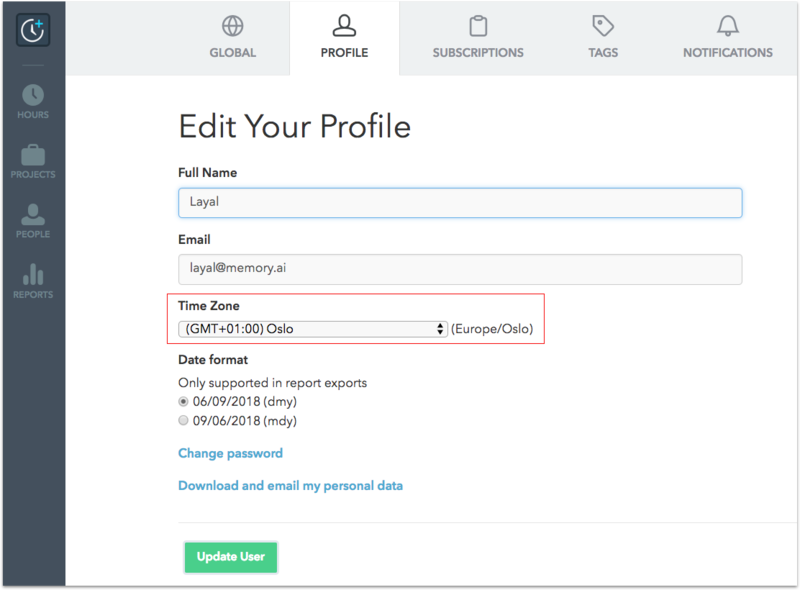 From the Profile page, you can update your time zone. If Timely auto-detects that you are in a different time zone to what your 'Settings' indicate, you will be notified with a banner on the top of your screen. Just click the link to be redirected to the Profile page.